Inside Xbox, Microsoft's series of monthly live-streams designed to showcase the upcoming features and titles on the way to Xbox One, is returning on Tuesday, April 16. It promises to be a big one, and we could even get some news about Gears 5. Announcing the next Inside Xbox stream on its news blog, Microsoft explained the hour long episode will "explore some exciting Xbox Game Pass news, new details on the much anticipated Anniversary Update for Sea of Thieves, special guest Rod Fergusson from The Coalition, first details and footage of the Warhammer Chaosbane beta, an exclusive look at Rage 2, a handful of exciting Back Compat announcements, and several surprises we’re saving for the show itself." But that's not all. 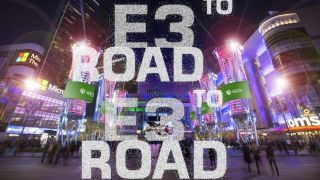 As part of its Road to E3 2019 campaign, the show will also feature "the latest news on E3, including Xbox FanFest and more", suggesting we could be seeing the first teases for Microsoft's slate of E3 2019 games, announced or otherwise, as early as next week. The fact that Rod Fergusson is making an appearance suggests we'll be hearing more about Gears 5, which is sure to be a keynote title for the Xbox E3 press briefing in June. Microsoft is no doubt getting ready to unveil some of its top secret titles as we edge nearer to the release of Xbox Project Scarlett, but whether it decides to make mention of them at Inside Xbox is another question entirely. It could well be that Inside Xbox will merely outlay Microsoft's organisational plans for E3, including the date and time of its press briefing, and nothing more. In any case, you'll be able to watch the show live and online from 2PM PT / 5PM ET/10PM BST next Tuesday, and we'll be covering all of the biggest announcements as soon as they're made here on GamesRadar+, so stay tuned to keep up to date. Gears 5 is one of many new games for 2019 on the way. Check out which others to follow by clicking the link, or watching the video below.